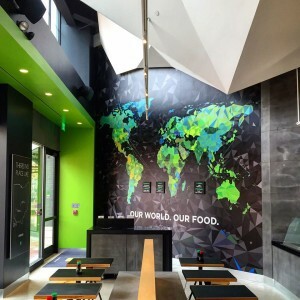 FUSIAN – Easton Town Center (Columbus, OH) | TMG Construction Management, Inc.
June 10, 2015: Grand opening! February 23, 2015: We have begun construction on a new FUSIAN, the create-your-own sushi restaurant originating from Cincinnati, at Easton Town Center in Columbus, OH. This is the first FUSIAN (of many) that our team will be building this year. We are thrilled to be partnering with them!